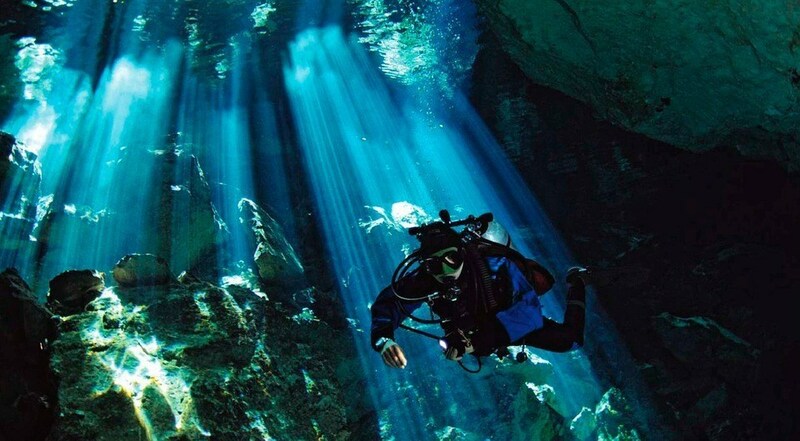 Diving is a great hobby, as there is a whole new world to be explored underwater. It can also be somewhat dangerous, so equipping yourself with the best gear possible is always a wise idea. You’re asking for trouble if you’re diving to extreme depths without quality gear, so you need to take the time to search for the best equipment to help you explore the deep. High-quality dive gear is essential, but can sometimes be incredibly expensive, so keep these two goals in mind– getting the quality you need, without breaking the bank. In other words, try to get the most bang for your buck. This article is going to address an important piece of diving equipment that every avid diver needs, the dive watch. There are many dive watches on the market today, and many of them have incredibly high price tags. So we will help you find the best-valued watch that meets your level of diving expertise. To help you keep this purchase down that’s something more affordable, we have assembled three of the best dive watch options. As with any piece of diving equipment, make sure to check the specs on each product to ensure that it is capable of dealing with your level of difficulty. The name says it all – this is a timepiece intended for the serious diver. Citizen is a brand that is well-known for producing quality watches, and you want a brand name you can trust when you are looking at your watch for crucial information, and you’re deep below the surface of the water. In addition to its functionality, it’s also a good looking product with a black bank and stainless steel case. Planning on heading deep into the water? Not a problem – this watch is rated for water resistance up to 1,000 feet. This watch will provide you with the basic functions that most divers appreciate while out in the water. Since it is powered by the Eco-Drive system, which runs on light, you never need to replace the battery in this timepiece. It has an easy-to-read analog display with large numbers on the bezel around the face. The reviews, some from professional divers, love the watch’s size and durability. 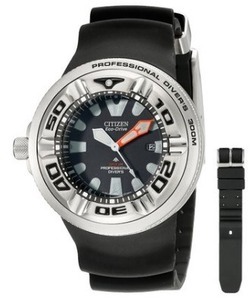 There are countless positive reviews for this product, which should make you confident with your investment when ordering the Citizen Professional Diver Sport Watch. When you are shopping for a dive watch to trust as you head deep into the water, the name ‘Navy SEAL’ should give you some confidence right from the start. It is water resistant for up to 660 feet, making it suitable for recreational scuba diving. It has an analog readout, uses accurate Swiss-Quartz movement, and has a mineral crystal face to protect it while you are diving. In addition to its practical functions, this is an attractive watch with a dramatic appearance features white numbers on a black background. Buyers have been happy with this product and everything that it has to offer. Many buyers have complimented the looks of this watch, and also the ease with which you can read the display after dark. The durability is considered good by most users, and it is seen as a good value purchase for the price. While not meant for serious deep sea diving or anything like that, this is a watch that can handle light underwater duty while also looking and performing great above the surface. This is the least-expensive watch on our list and is not meant for deep diving. However, it is meant for regular exposure to water, and even includes a dedicated diving mode to help you keep track of your underwater activities. The Pyle comes in a variety of bright colors. In addition to offering up the time with a digital display, the watch is also capable of gathering and displaying other information, such as water depth, water temperature, and more. It also has a stopwatch and can remember the data from up to 100 previous dives. Many find that it is a useful free-diving timepiece while being limited for other diving purposes. 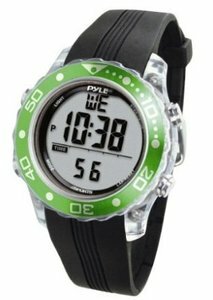 Of course, since it wasn’t intended as a deep scuba-diving watch, it seems as though this Pyle product is perfectly capable of doing what it was meant to do. Also, with a price point well below most other diving watches, it is worth considering depending on your underwater needs. You need to pick a diving watch based on your diving skill level and the conditions you will be swimming in. The three options above are a good place to start. With a little more research you should be able to pick a winner in no time! 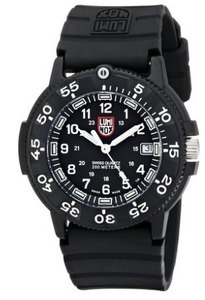 If you want to see different types and models, then feel free to check our best military watches guide.